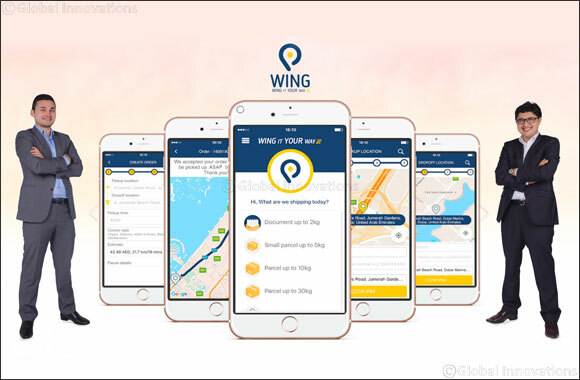 Dubai, UAE, July 31, 2016: WING.ae, an on-demand delivery and courier marketplace, has closed a seed funding round backed by SOUQ.com, the Middle East’s largest online retail and marketplace platform. Tech start-up WING.ae is an innovative e-marketplace that offers an assortment of comparative pricing across major carriers in the UAE, helping courier companies, SMEs and customers choose the best, fastest and cheapest delivery gateway along with real-time order tracking. WING.ae provides robust delivery solutions (including same day delivery) to courier and delivery companies to ship products to their customers, and keep an easy track of orders, deliveries and payments. The platform ensures customers receive quality-controlled couriers at the cheapest next day/ same day delivery ensuring big savings up to 70%. Currently, over 50% of the delivery vehicles convey around the UAE with less than half their capacity utilised, while more than 30% of the vehicles travel with empty cargos*. The WING.ae platform will use smart technology to enable businesses to make use of this spare capacity, dramatically cutting down on CO2 emissions and increasing the profitability of logistics companies. Catering to diverse industry verticals such as food, groceries, fashion and electronics, WING.ae will offer brick and mortar retailers the opportunity to grow their e-commerce model by making their products readily available to consumers at a low delivery cost. Further, the ultimate transportation App enables users to receive or send items anytime and anywhere, at their fingertips. WING.ae is already live with a number of couriers, and discussions are currently underway to bring on-board additional courier and delivery companies in the UAE. Customers can download the “WING.ae” App on their smartphone via App Store and Google Play. Delivery slots are open between 8:30 am and 9:00 pm daily with exceptional discounts over the launch period. Additionally, the revolutionary platform will deliver innovative features such as metered on demand delivery, same day delivery scheduling, live GPS delivery tracking, and progress notifications.